When she's not traveling, reading or writing, Emese knits and designs knitwear. Some of her designs have appeared in Knitcircus Magazine. Why Knit Your Own Legwarmers? 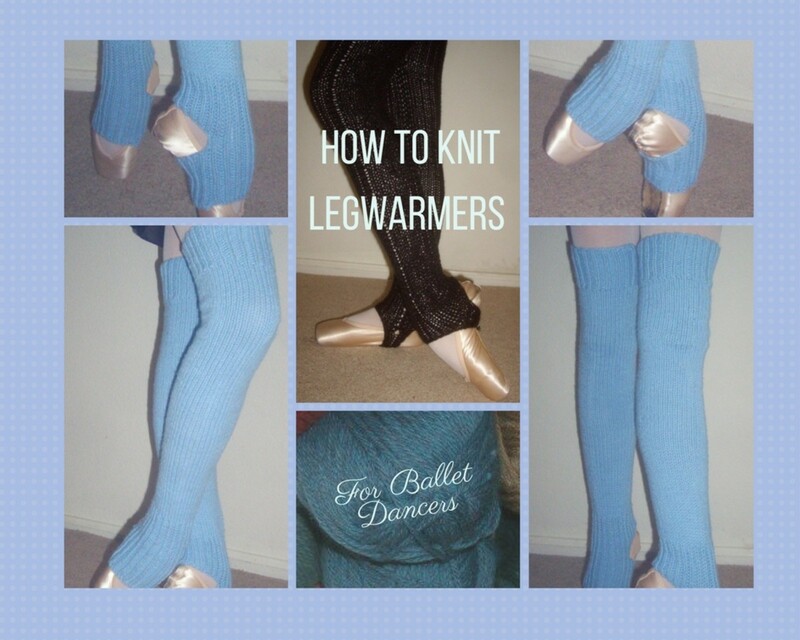 If you are a dancer or have a child who dances, you know a lot about leg warmers. In dance, they are used for warm-up exercises. They help to keep the muscles warm before any serious exercise begins. My daughter was a serious ballet dancer, and she's gone through a lot of leg warmers over the years. I made some, I bought some, and they all worked, but some of them became her favorites and were used more than others. My favorite place to buy them was Discount Dance Supply, always a good buy for a reasonable price. Sometimes it was even cheaper than the yarn I would use to make them. Of course, I did buy a few over time. 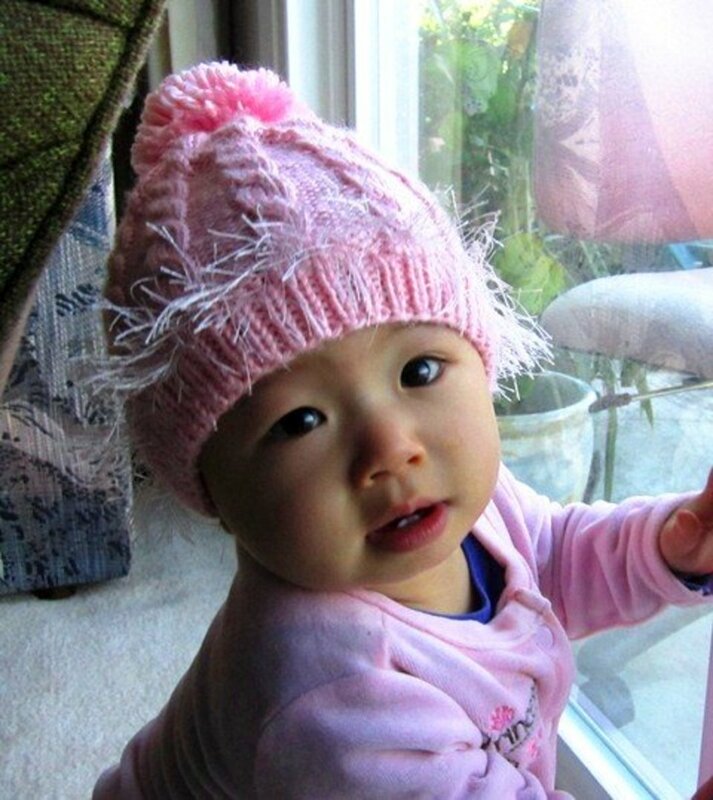 However, her favorite pair was one that I hand knit for her. Not because I'm her mother, but we "designed" it together, to make sure that they didn't slip on her tights during warm-up exercises. Most leg warmers would slip down on tights. Since in ballet she always had to wear tights, this was a challenge that I decided to help her with. There is something special about hand knit legwarmers, even if you make it for others, not your own daughter. I had made some for dance friends and was paid $40 for a pair. They just look better, feel better, and you are able to customize them. Also, they are very easy and relatively quick to make. So if you knit at all, even as a beginner, it is a great project. You can knit them short or you can knot them long, whatever your dancer prefers. You can knit them in the round, or you can knit them flat and sew them together, whatever is more comfortable for you. 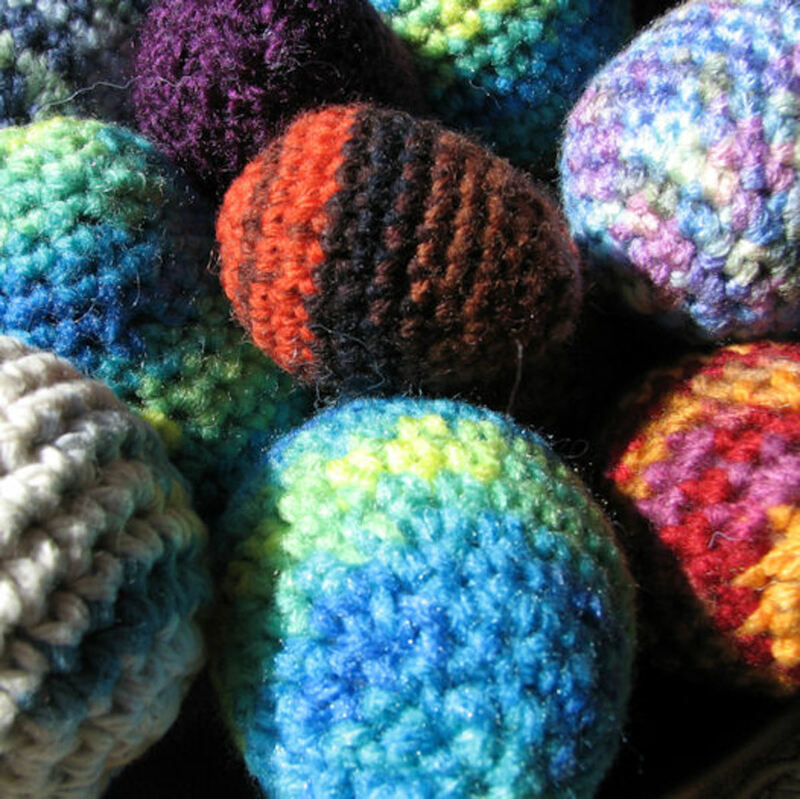 I prefer knitting them in the round, because I just dislike sewing pieces together. But if you are not comfortable with knitting in the round, it is very easy to just knit a flat piece and sew it together. I named these "pointe work legwarmers" because they are designed to fit over pointe shoes and stay up during pointe work exercises. I used cotton yarn, since I noticed that over time acrylics or any wool blend tends to slip over tights. Because these leg warmers are cotton, and knitted very tight, making them is a bit difficult on your fingers. However, but for serious ballet dancers they are worth it, since they stay up even during exercises. This pair had been Leanne's favorite until she grew out of them and lost them. 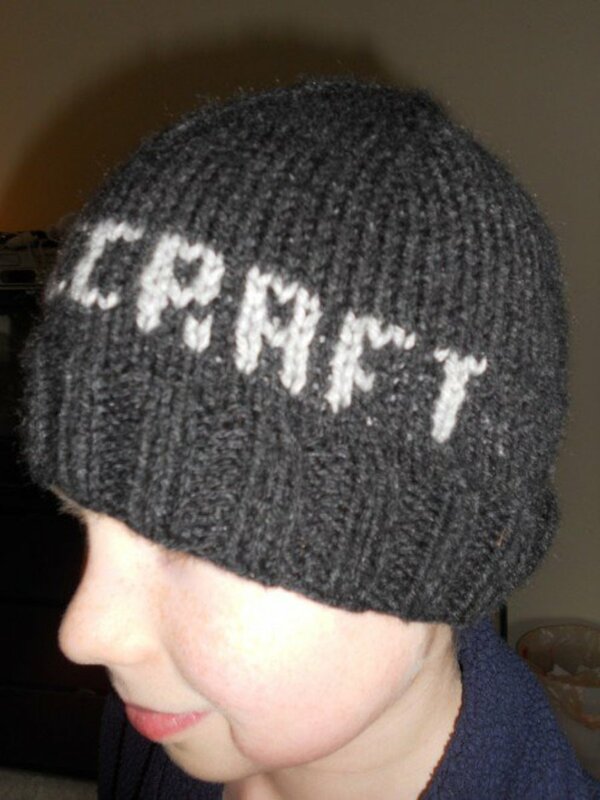 However, the pattern itself is very easy, and you can use your favorite yarn to make them. Sock yarn works great as well. Yarn: Peaches and Creme 100% cotton, 2 skeins. Alternately, you can use any sports weight yarn you like. Rib stitch: 6 sts/6 rows = 1"x1" . CO 36 sts, equally divided to 3 needles; 12 on each. (or divide into two same size circular needles). PM and join to knit in the round, careful not to twist. Switch to stockinette stitch: knit each stitch. Continue until legwarmer measures 21". Knit in rib st [k1,p1] for the last 20 rounds. 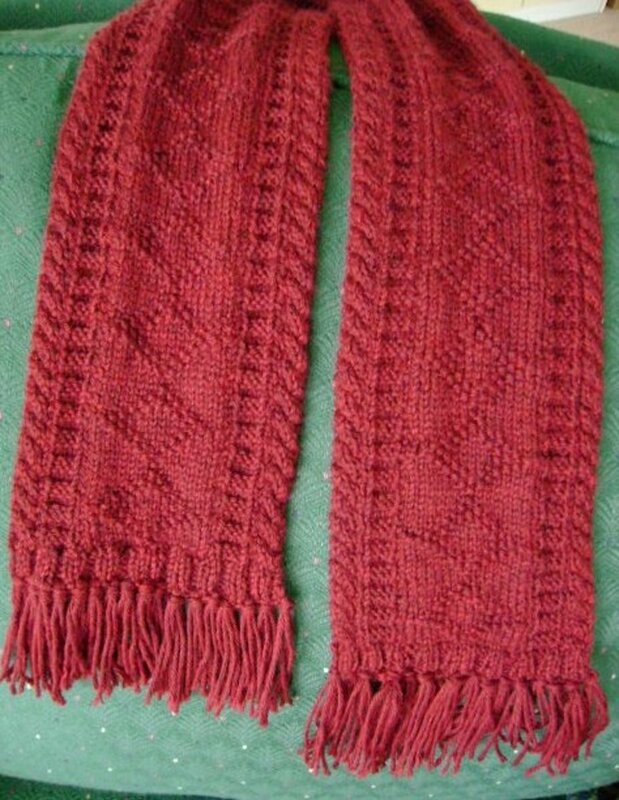 If you are not comfortable knitting in the round, or just simply prefer not to, here is a pair of similar legwarmers knit flat and sewn together in the end. For the following pair of leg warmers I used a wool-acrylic blend of yarn, and size 4 needles. The flap on the bottom was knit separately, too, and added in the end. I also shaped the legwarmers below the knee and again, at the top, for thighs. A pattern is running down on the outside of each legwarmer. Basically, after casting on the right amount of stitches, instead of joining and knitting in the round, you turn and knit the wrong side of the legwarmers, too. Start with rib stitch, then change to stockinette stitch and add a pattern if desired. It is helpful to increase about 2-4 stitches around calf length, depending on the type of yarn used, and if the legwarmers are made for young children or teens/adults. Only increase 2 stsitches in one row, and if more are needed, increase again two rows later. Another place where increases are helpful is at the thighs if the legwarmers are very long. Again, increase 2 sts in a row, then repeat in the next right side row. When almost reached the desired length, switch to rib st again, and BO in rib to keep the legwarmers from falling. When done, just sew them together. Will this knit leg warmer pattern fit my 13-year-old granddaughter? 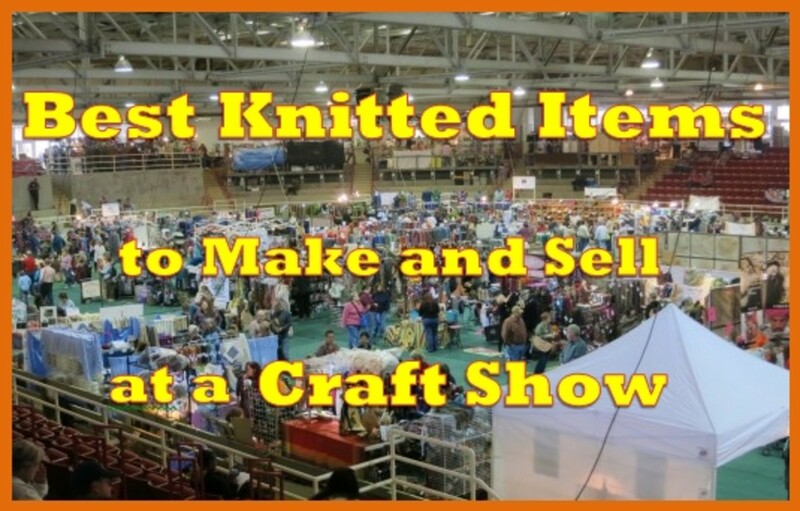 You also mention 2 skeins of yarn. Is it the 4 oz size? Yes, it is the 4 oz size. My daughter and I love your pointe work legwarmers, so I'm trying my hand at making a pair. They worked great and fit well through the rib stitch on the foot and ankle and the initial few rows of the stockinette stitch, but after about 3 inches of stockinette, we can no longer get them over her heel to pull them up. They don't seem to stretch enough in the leg part to accommodate having to pull past the heel. Is there a trick to pulling them on? I'm afraid if I pull all of the rows out and redo them, adding more stitches to accommodate pulling past the heel, it will then be too big on her legs. Any suggestions? For either one of these leg warmers, two skeins of yarn should be enough for any size. 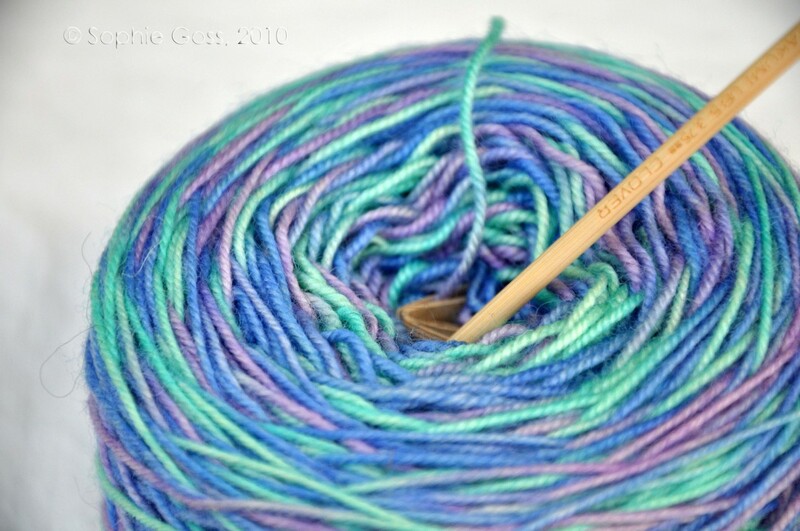 HOW MUCH YARN DO YOU NEED TO USE TO START THIS PROJECT? I am poor at math. Do you have a pattern for sm, med, lg? Hi Terri, I just answered above, let me know if it helped. 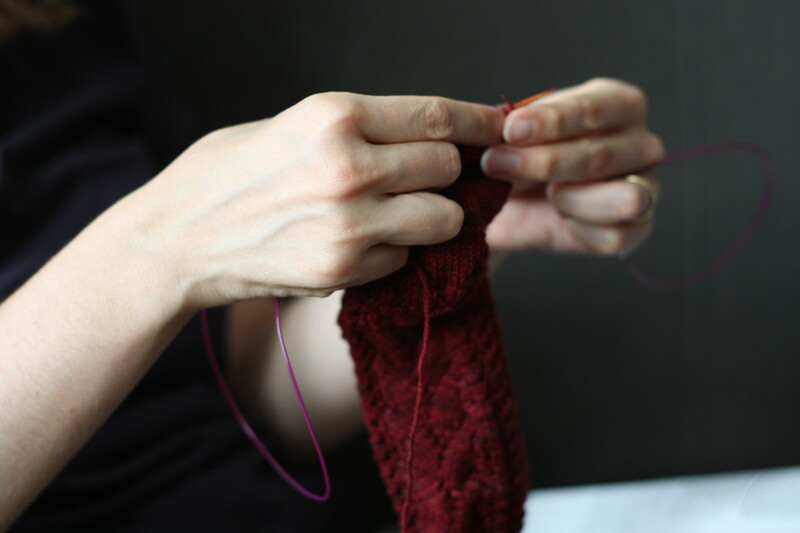 You start out the round by binding off 16 stitches, then keep knitting till you get to the point where you started BO, keep going by casting on another 20, using one of the above-mentioned methods, then after the 20sts, keep knitting for the rest of the round. Hopefully you figured it out. Let me know if you have other questions. Thank you for trying out the pattern. Hey, thanks for the pattern. I am having trouble with the co 20 stitches for row 25. Any advice? Thank you for trying out the pattern. I found this video that shows you the method I used: https://www.youtube.com/watch?v=2LFRNiNoyxQ . There are a few different ways to do it though. If you crochet, you can just make a chain of 20 sts, and knit into those, if it is easier for you. 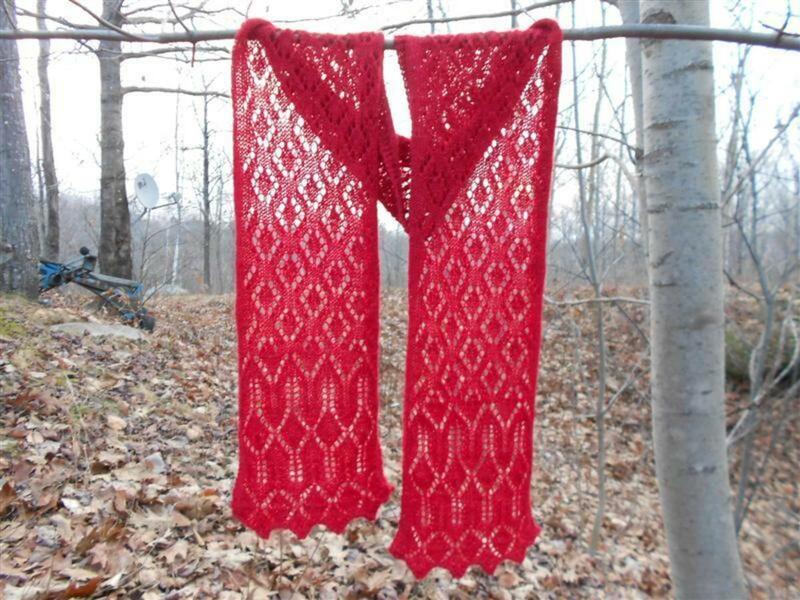 I am a fairly new knitter and would like to make these for my granddaughter. I was doing fine until row 25. I am lost. Which needle am I doing the co 20 stitches? Thank you for the pattern and your time. Thank you for commenting; sorry it took me so long to reply; I didn't see this comment earlier. I think you might have figured it out though by now; you would need to cast on probably between 70-80 stitches, depending on your yarn; you might need to do some math or even better, try it on as you go; the length is much easier to adjust, just keep knitting until you reach your desired length. Hope this helped. @kschimmel: Thank you so much! I appreciate you sharing it. These are wonderful! I appreciate that they go over the foot with the opening at the heel. These would also work well for wearing with boots in the winter. I will definitely share! Thank you! :) You really are a great supporter and a real friend! Is there a place to nominate you for best supporter of newbies? I am planning on participating in your writing challenge, by the way. It inspired me. I won't have time today (sick kids and dr's appointments), but hopefully everyone will be back to school tomorrow and I'll have time for it. Obviously this isn't something I'm going to do, but I still wanted to give you some support, so a job well done!